Gordon Eugene Hetu was the ball turret gunner on the James Joseph Brodie crew of the 545th Bomb Squad of the 384th Bomb Group of the Eighth Air Force in WWII. Gordon was born September 26, 1925 in Detroit, Wayne County, Michigan. He was the only child of Raymond Joseph (1896 – 1982) and Esther A Johnson (1897 to unknown) Hetu. Raymond and Esther were married January 28, 1922, both at the age of 24. Gordon was born four years later, when they were both 28 years old. Esther was born in Michigan, and her parents were also born in Michigan. Raymond was born in Michigan, but his parents were French Canadian. In 1930, the Hetu family lived at 3821 Webb Avenue in Detroit. Raymond worked a plumber, and Esther was a typist for an insurance office. In 1940, the Hetu family still lived at 3821 Webb Avenue. Raymond was a maintenance man at an auto factory. Esther no longer worked. At the young age of seventeen, Gordon enlisted in the Army Air Corps on June 24, 1943. After his training, Gordon was assigned to the 384th Bomb Group, 545th Bomb Squad on AAF Station 106 Special Orders #148 dated July 26, 1944, as the J Brodie Crew’s ball turret gunner. Gordon’s first of nineteen combat missions was Mission #174 on August 7, 1944. The target was a Luftwaffe Aircraft Fuel Depot at Dugny (Paris), France. The Brodie crew was aboard Snuffy, also known as Worry Bird, as High Section Deputy of the Lead Group. 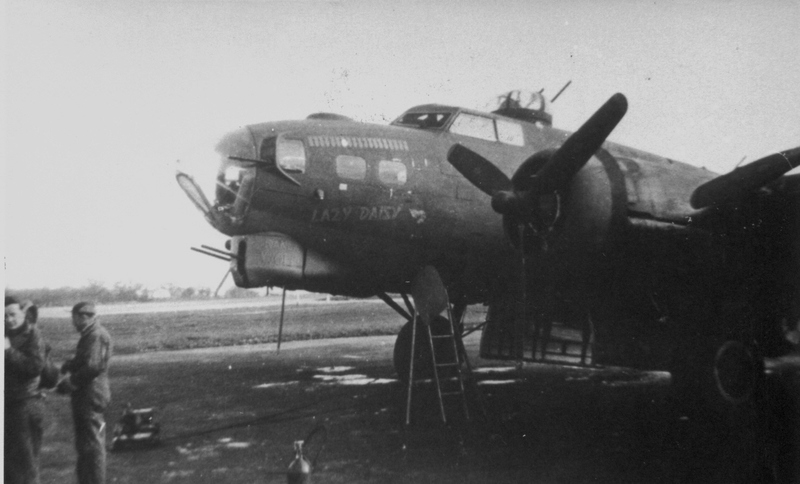 The fuel depot was near Le Bourget and combined two strategic targets in one, the Luftwaffe and their fuel supply. Unfortunately, the lead and low groups dropped their bombs several miles to the east and the high group attacked Chateaudun Airfield as they were unable to sight the primary target. None of the bombs came near the intended target of the Luftwaffe or their fuel supply. Gordon celebrated his nineteenth birthday on his eighteenth mission with the 384th – Mission #199 on September 26, 1944, to a steelworks target at Osnabruck, Germany. The Brodie crew completed a successful mission aboard Kathleen Lady of Victory. Gordon’s next mission, his nineteenth, was Mission #201 on September 28, 1944. 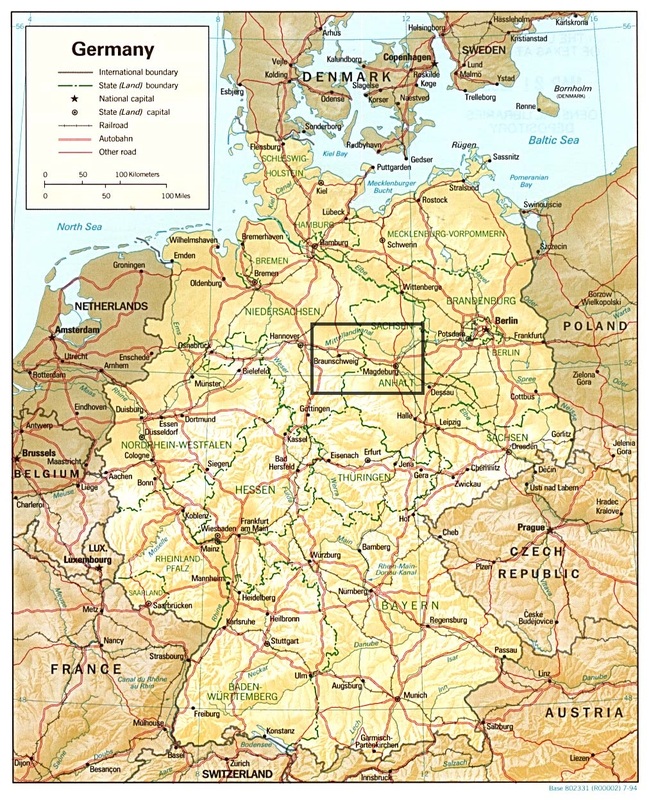 The target was the Krupps Steel Manufacturing Plant in Magdeburg, Germany. 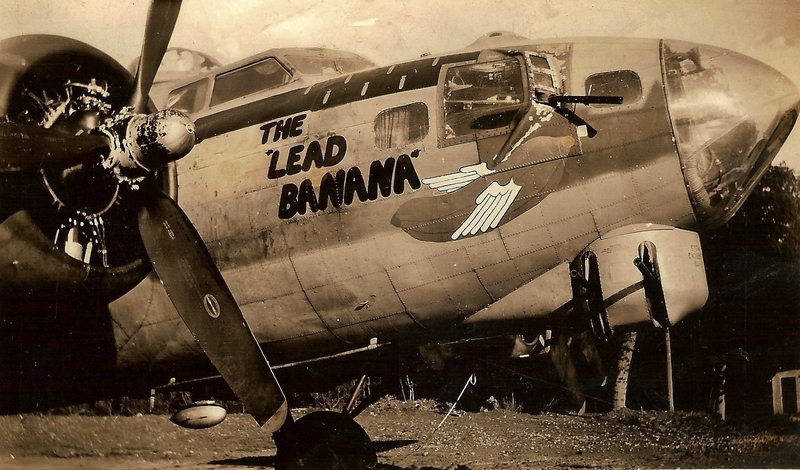 The Brodie crew completed a successful mission aboard Lazy Daisy, but coming off the target, collided with Lead Banana. Only three men made it out of Lazy Daisy alive, and Gordon was not one of them. He probably never had a chance to emerge from the ball turret. Gordon Eugene Hetu died September 28, 1944, two days after his nineteenth birthday. He is buried at Oakland Hills Memorial Gardens in Oakland County, Michigan.